iZettle E-commerce allows you to take your business online, so that you can reach new customers, sell more and build your brand. It’s simple to set up and easy to use, so you can sell anywhere, 24 hours a day. You’ll be able to manage all your sales and inventory from your iZettle account, whether you’ve made them online or in store, and you can accept secure payments from all major credit cards as well as PayPal. Whether you are just starting out or you’ve been selling for a while, iZettle provides a simple but powerful set of tools for marketing and selling your products online. If you'd like a guide to getting started with iZettle E-commerce, take a look at our step-by-step video and see how it all works! How do I start using iZettle E-commerce? iZettle E-commerce is available exclusively to iZettle users who are subscribed to our Go PLUS price plan. To start selling online, you need to first sign up for iZettle Go PLUS and then activate the E-commerce feature from the E-commerce page at my.izettle.com. What are the different ways to sell online? iZettle E-commerce makes it easy to sell your products directly from your existing website or blog. Embed buy-buttons, product widgets or even an entire shop into your website or blog and start making sales. Simply click on the Buttons & Widgets tab within the menu on your dashboard to begin. Read more about selling on an existing site here. If you don't have a website yet, no problem! iZettle E-commerce gives you all the tools you need to create a beautiful and effective online store to match your branding. It's easy using one of our professional pre-designed themes and the store customiser. Your store is also designed to be fully responsive so that it will look great on desktop, mobile, and tablet. Use your existing domain name, purchase a new one for your business or keep the custom selz.com subdomain that is included. Get your store to look just the way you want using our simple store builder or get under the hood of your site with fully editable HTML and CSS. Learn more about customising your store here. Sell on Instagram, Twitter, and Facebook with ease! Simply copy and paste your product links to your social profiles or connect them to your account for easy sharing. Every iZettle E-commerce account comes with a free Facebook store. Easily install the Facebook store app to your Facebook business page and you can start selling directly to your customers where they hang out. Your buyers won’t even need to leave Facebook! Start by clicking Facebook in the Online Channels section of your Dashboard. Click Add your store to your page now and follow the instructions. What can I sell, and what can’t I sell? Use iZettle E-commerce to sell physical items like clothing, art, home goods, health and beauty products or electronics. But take note that you will not be allowed to accept online card payments through iZettle E-commerce for some pharmaceutical products, e-cigarettes and some food items. Visit my.izettle.com and then click the ‘E-commerce’ tab to activate iZettle E-commerce. You must be subscribed to our monthly Go PLUS plan. After activating your iZettle E-commerce account for the first time you will be taken to your E-commerce dashboard. The best way to get to know this system is by taking a look around. In the left-hand navigation bar of your E-commerce dashboard, click Your online store and then Preview. This will show you a very basic version of you online store. Once you’ve had a look around it’s time to update your products. So far, you’ve been selling products face-to-face so the items in your inventory don’t have any descriptions. If you want them to sell well online, you need to adapt them with some snappy text and beautiful photos. To do this, go to the Products tab in the left-hand navigation bar of your E-commerce dashboard. To the right of each product you’ll see the word Edit, click this link and you’ll be able to optimise every product to your heart’s content. The best way to market your products online is by taking clear, brightly-lit pictures against an uncluttered background. The number of sales you make will be directly correlated to the quality of your photos you take, so make sure your products look good! When you write descriptions for each product try to include short but positive explanations of what the product is or what it does. Choose a few words that help your customers understand the unique selling points of each item. For example, instead of writing “White T-shirt” you could say “White T-shirt in breathable cotton with flattering V-neck”. Read more about adding product images and descriptions here. Once you’ve adapted your products, you can sort your synced products with categories and subcategories to make it easier for your customers to navigate your online store. 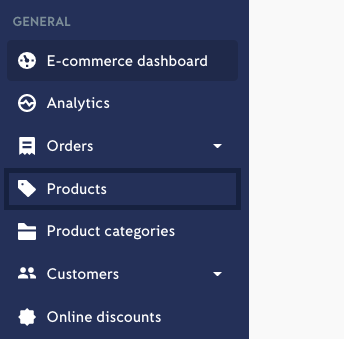 Just head to your E-commerce dashboard and click ‘product categories’ to get started. (It is important to note that your online categories will not be synced to any existing folders in your Product section of the main iZettle dashboard). Once you’ve perfected all your products and moved them into categories, it’s time to take care of the look and feel of your online store. Do this by heading back to your e-commerce dashboard and choosing one of our professional themes. From your E-commerce dashboard click on Your onlinestore > Theme store and pick one that you like the most. Read more about setting up a theme here. Once you view and install the theme of your choice, the store builder will appear. Here you can customise the look of your store. Read more about content blocks and customising the look of your store here. How do I know which products are available for online sales? Once you have activated iZettle E-commerce, you should go to my.izettle.com and view all your products on the Inventory tab of the Items page. Your existing products will automatically sync from your iZettle account so that you can sell them online, but you can deselect any products that you don’t want to sell online by unchecking the tick icon next to that specific product in the ‘Products’ tab. If I have products in my inventory that are not being tracked, can I sell them online? 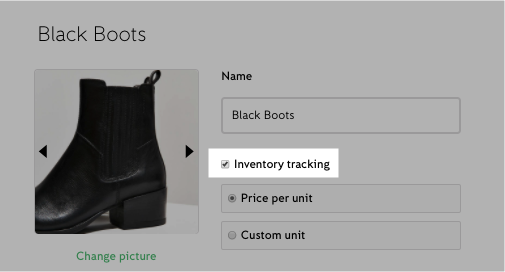 It is very important that you track all the products you want to sell online by checking the ‘track’ box next to each one in your inventory. You can find your inventory in the Inventory tab on the Items page. If you track your products, you will receive a notification when you’re running low or if you’ve sold out. If you sell both online and in-store, this may result in you selling things online that you don’t have in stock. How do I refund an online sale? Refunds of online sales can only be performed from the order section of your iZettle E-commerce dashboard. Go to the Orders tab in the left hand navigation bar, click All, select the product you want to refund and then click the More button in the top right-hand corner. Refunds cannot be performed from the receipt view at my.izettle.com. Why don't I see any online properties when I create a new product? If you haven’t yet activated iZettle E-commerce, you won’t be able to see any online properties next to the products in your inventory. Sign up for iZettle E-commerce by subscribing to the iZettle Go PLUS package and then activate your online store by visiting the Sell Online tab at my.izettle.com. Once you start making sales, we securely process your daily payments, apply a transaction fee and then deposit the rest of the funds into your chosen bank account. The online transaction fee for each sale is 2.5% for card payments and once each payment has been securely processed, it will arrive in your bank account within 1-2 days. Your bank details are already linked from your existing iZettle account, so there’s no need to add them again. You can also enable PayPal as a payment gateway. Your buyers will send payment directly to your PayPal account. If you have enabled PayPal in your store, you will be charged 2% per transaction, and your payment is deposited into your PayPal account immediately upon successful payment. You can use email marketing to let your customers know about new releases and special offers, or keep them up to date on events in your physical store. When you send your customers an email receipt, you can include a question about whether they would like to receive newsletters from you in the future. 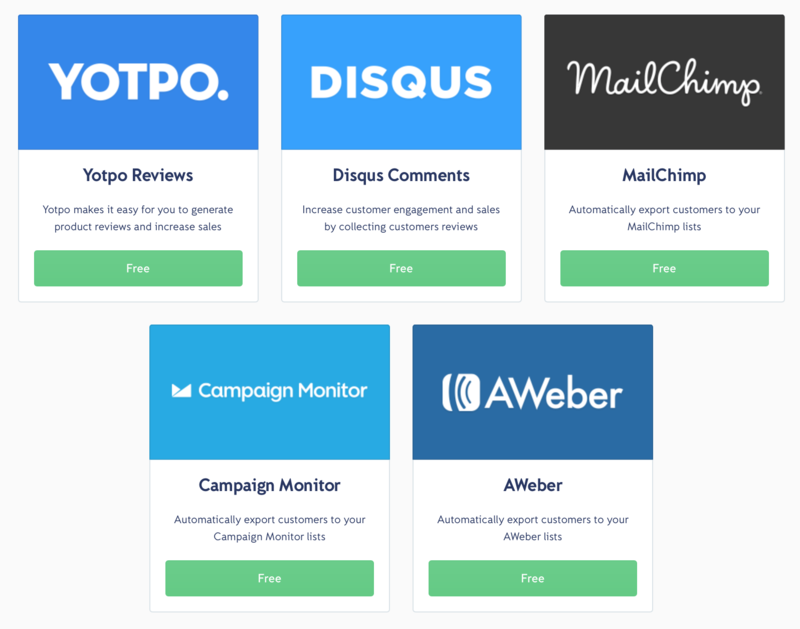 A list of the customers who accept can be found in the left-hand navigation bar of your E-commerce dashboard under ‘Customers’ and then ‘Accept marketing’. To send regular updates to your customers, install an app like MailChimp to create targeted emails or newsletters based on sales, preferences and customer behaviour.